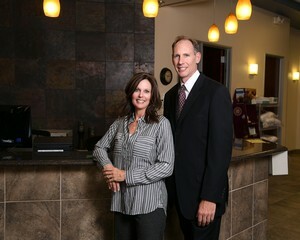 Pivonka Health and Wellness in Gilbert has been helping individuals and families achieve better health for 18 years. Health is a state where 100% of the body is working at 100%, 100% of the time. Health is not a state where you have a lack of pain or symptoms.Our clinical goal is to thoroughly evaluate every person who enters our door and provide the highest and best level of Chiropractic service possible. To make your visit easier we offer a no charge consultation, which allows you to ask us any questions about your specific health complaint. We also offer a $97 initial start up should you want to be evaluated ( Normal start up price is $317). This $97 Health Pass, as we call it, includes your initial exam, computerized postural evaluation and any necessary X-rays and your consultation with the doctor to discuss the findings of your exams. Our first concern is always can Chiropractic help you. If we think we can, than we will let you know. If we think you would be better served elsewhere, we will let you know. Call our office today at (480) 892-0022 to schedule your appointment time.